Is your roof getting old and rusty? Are you also experiencing issues with a leaking roof on the South Coast and near the Southern Highlands area? Look no further than Tactical Roofing and Gutters for all your tiling and repair needs. We are a dedicated team of roofers with over 20 years industry experience. No matter how big or small the job, you can trust our professional roofers to get the job done right and within budget. Before the job commences, we do a thorough consultation with you so that we understand your exact needs and from there determine the best way forward to get your roof fixed. At Tactical Roofing and Gutters, our goal is to ensure we exceed your expectations and ultimately produce a superior finish that will keep your home protected for years to come. Got a few broken tiles on your roof? Whether you're a residential or commercial premise, we do a range of tiling repairs on both small and larger scale projects. Looking for a new metal roof replacement? No problem. Tactical Roofing and Gutters can replace your old roof and replace it with Colorbond material, immediately changing the look of your property. With so many different options to choose from, you can’t go wrong with metal roofing for long-term durability, strength and weather resistant solutions. If you’re not sure about what style roof to choose, our team can assist you with a range of design options and colour samples to suit the look of your home. When you deal with Tactical Roofing and Gutters, you trust that you’re getting superior service, quality workmanship and strong attention to detail at every stage of the project. 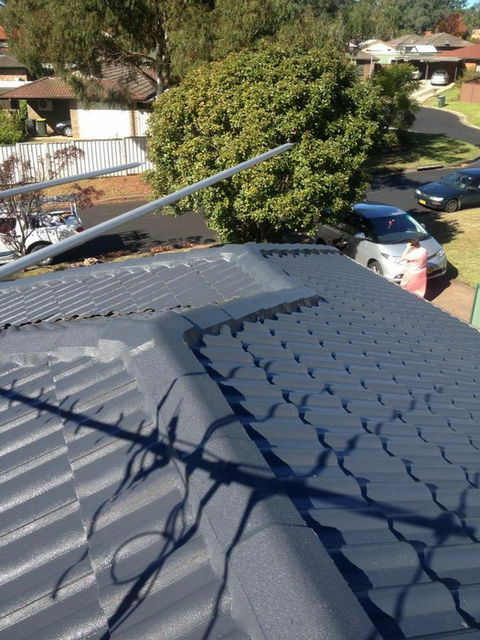 With hundreds of satisfied customers over the years, we are proud to be a leading roof repairer on the South Coast and Southern Highlands area. Don’t let a leaking roof or broken roof tiles ruin your day. For reliable roof tiling maintenance and repairs on the South Coast, Southern Highlands area, give us a call today on 0421-207-200 or send an email to info@roofstylers.com.au with all your details and we’ll be happy to arrange a free quote.